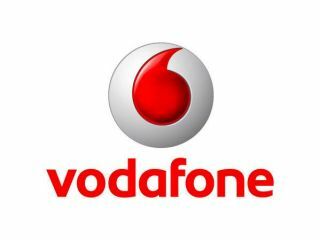 Vodafone has given TechRadar a more definitive date for its planned HTC Desire Android 2.2 upgrade, as well as speaking about the recent 360 Android 2.1 update. The headline-grabbing elements of the statement sent to TechRadar are that the Android 2.2 upgrade should be with us in 7-10 days, and the 360 services which were added in the last update will be removed. "We've listened to feedback from customers on a number of points around the recent 360 Android 2.1 update and made some changes to the roll out plan," a Vodafone spokesperson told TechRadar. "The Android 2.2 update for Vodafone HTC Desire users will be based on the HTC open market version of the software and we will customise it to ensure ournetwork settings are installed. "We will let you know when the date for delivery of the Android 2.2 update is finalised, but, subject to testing, we expect this to be in 7-10 days time." "For customers who have downloaded the recent 360 update for Android 2.1, we can confirm that the Android 2.2 update will remove the 360 applications and will leave the homepage and bookmarks on your current settings. "Customers who want to access the 360 services will be able to do so once the Android 2.2 compatible version is available and, in the meantime, can now download apps like 360 People from the Android Marketplace. "We plan to make the 360 apps available in a separate update for the HTC Desire at a later date, giving customers the choice to download it."